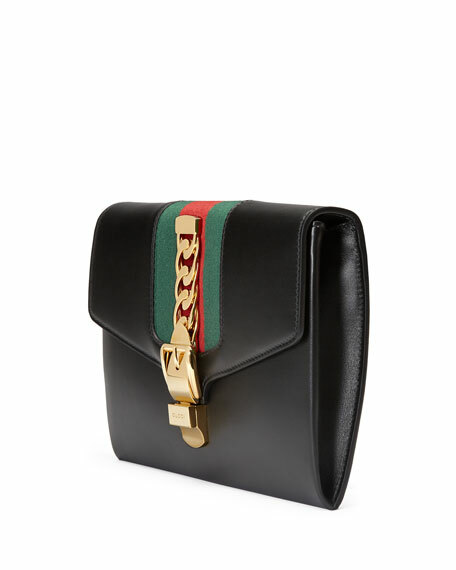 Gucci small clutch bag with signature green/red/green webbing and curb-chain detail. Approx. 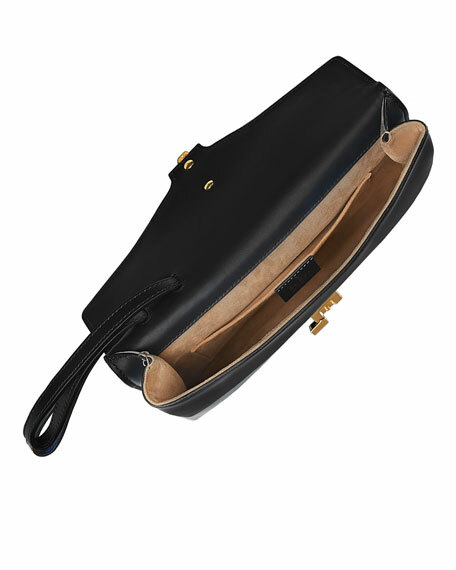 7"H x 10"W x 1.5"D.
Flap top with faux-buckle; push-lock closure. 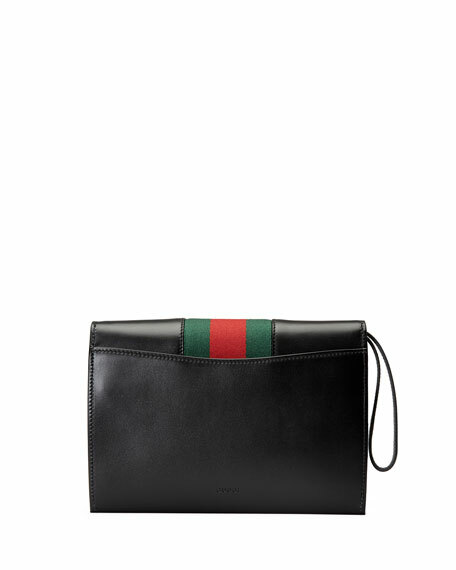 For in-store inquiries, use sku #2218050.